Brand New with Tags! Never Worn! Unaltered! Size 4. Gorgeous lace trumpet/mermaid wedding dress! It’s a soft ivory, almost a soft white. Has a stunning illusion neckline. Breathtaking V back. Amazing lace appliqués with soft sequins but not over the top. Bottom flares with tulle into a mermaid style with a beautiful tulle train. 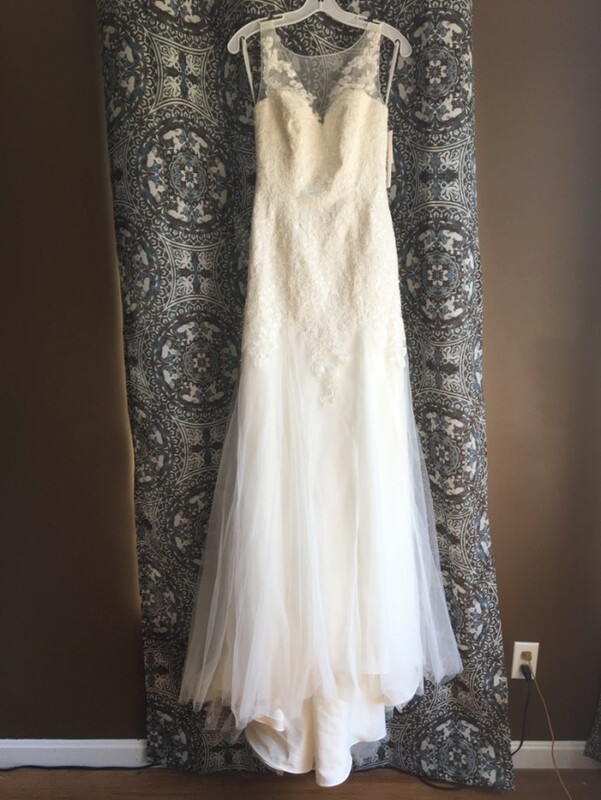 Purchased from David’s Bridal 2017. Will ship.